Ben Roethlisberger has seen his share of ups and downs. 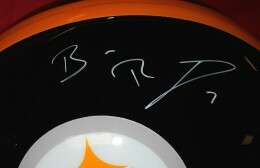 "Big Ben" was drafted by the Pittsburgh Steelers in 2004. After assuming the starting role in game three of his rookie season, he led the Steelers all the way to the AFC Championship game. 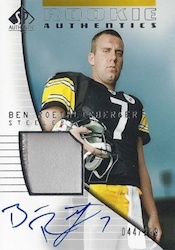 Ben Roethlisberger card collectors have chased him ever since. 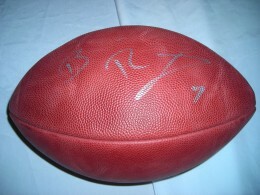 Although he was unable to win the big prize as a rookie, Roethlisberger brought Super Bowl victories back to Pittsburgh in 2005 and 2008. The team came up short to the Packers in the 2010 Super Bowl. Inconsistency followed in the ensuing seasons, with the Steelers not even making the playoffs in 2006, 2009, 2012 and 2013. After an slow start to the 2014 season, Roethlisberger exploded for 12 touchdown passes in a two-week period. 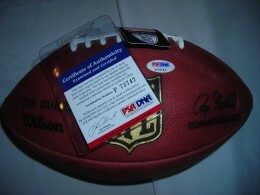 This marked an NFL record as he was the first player to ever thrown six touchdowns in back-to-back weeks. Despite his success, off-field issues added drama to the team chemistry and Roethlisberger's career. A motorcycle accident in 2006 almost took his life. 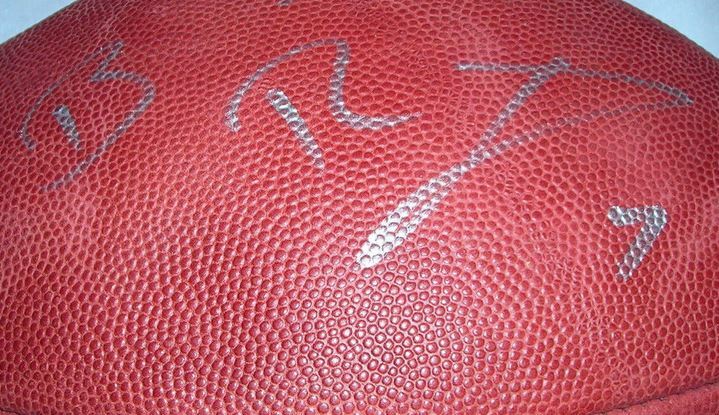 In 2009 and 2010, allegations of sexual assault were levied against the star quarterback. 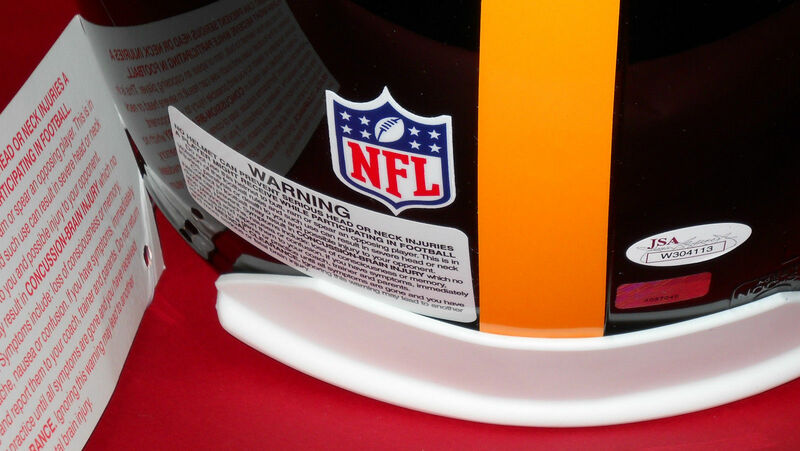 Although he was never even formally charged, let alone convicted, Roethlisberger was suspended by the league for the first six games of the 2010 season for violating the NFL's personal conduct policy. In spite of these negatives, Ben Roethlisberger card collectors have remained loyal based on his winning ways and gritty play. 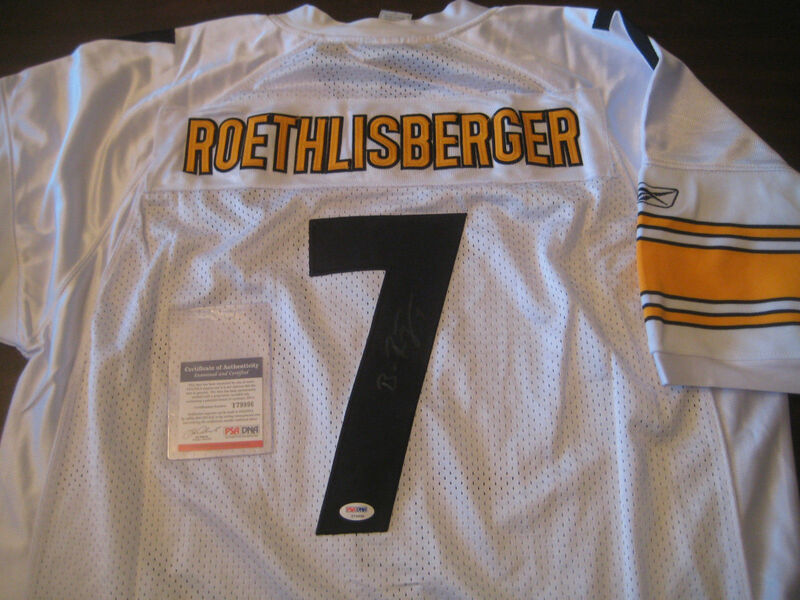 Get deals on Ben Roethlisberger cards and memorabilia on Amazon. Among active quarterbacks, Roethlisberger is behind only Tom Brady in Super Bowl wins. 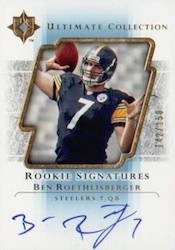 Given his early success, Ben Roethlisberger card and memorabilia values are already strong but there still might be room for growth if he can see more success like he did early in his career. 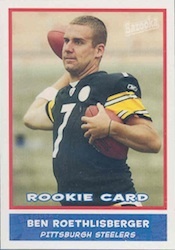 Ben Roethlisberger has nearly 50 rookie cards that will appeal to all budgets. 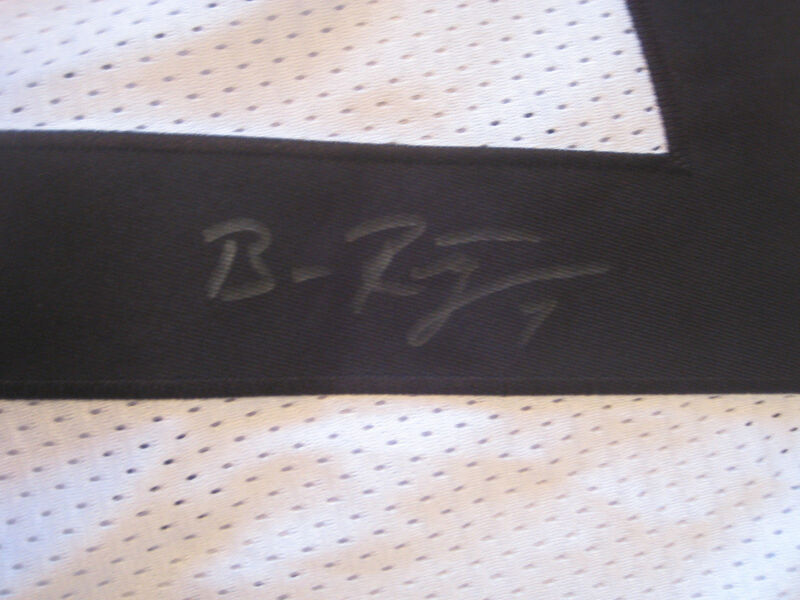 The 2004 SP Authentic Ben Roethlisberger card features an on-card autograph and jersey piece. One thing that immediately becomes clear is that Roethlisberger has a very sloppy signature. Regardless, this is one of the top rookie cards for collectors. Bowman Chrome has a distinct design and finish. 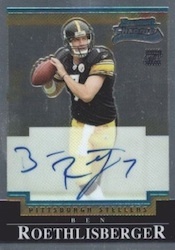 The Ben Roethlisberger card features an on-card autograph and low print run of just 199 copies. 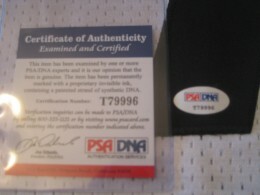 Although it does not have a jersey piece, the timeless design ensures that the card will remain a collector favorite. Despite the relatively high high print run (it's not numbered, but confirmed as 541) and sticker autograph, Playoff Contenders has long been a top option for rookie collectors. 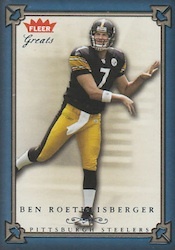 The 2004 Contenders Ben Roethlisberger card continues to be one of the most heavily purchased. 2004 Ben Roethlisberger, Rivers,Manning Ultimate Quads Rookie Auto! 1 5. Rare!!! 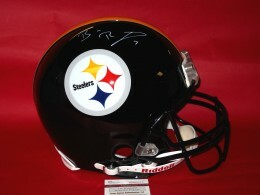 2004 Ben Roethlisberger RC Sweet Spot Gold Auto. 14 25. Rare! 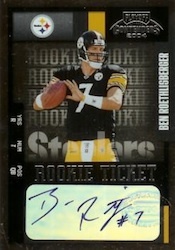 2004 Ben Roethlisberger RC SPX Rookie Auto. 130 375. Hot! 2004 Ben Roethlisberger RC Leaf Limited Rookie Auto. 140 150. Hot! 2004 Topps Finest Football Hobby Box Factory Sealed HTF! 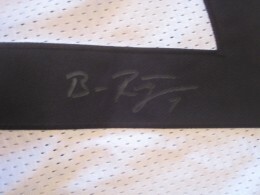 2004 Ben Roethlisberger RC Leaf Limited Rookie Auto. 98 150. Hot! Pop 2! 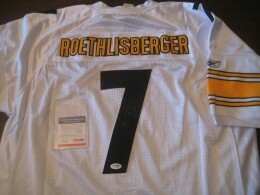 2004 Ben Roethlisberger RC Ultimate Rookie Jersey. Hot! Below you will find examples of what an authentic Ben Roethlisberger autograph looks like. This can be used as a first point of reference for determining the legitimacy of autograph memorabilia, but is not a substitute for having your items authenticated by a well-respected professional autograph authentication company. Some of the trusted sources within the sports memorabilia market include the following companies: PSA, JSA, Steiner, Panini Authentic, Tristar and Mounted Memories. Click on any of the images below to view full size photos. A horizontal line at a 45 degree angle suffice foe the letters "en"
The cross of the letter "t" also caps off the loop of the letter "g"
A "dot" above this letter combination indicates a letter "i"